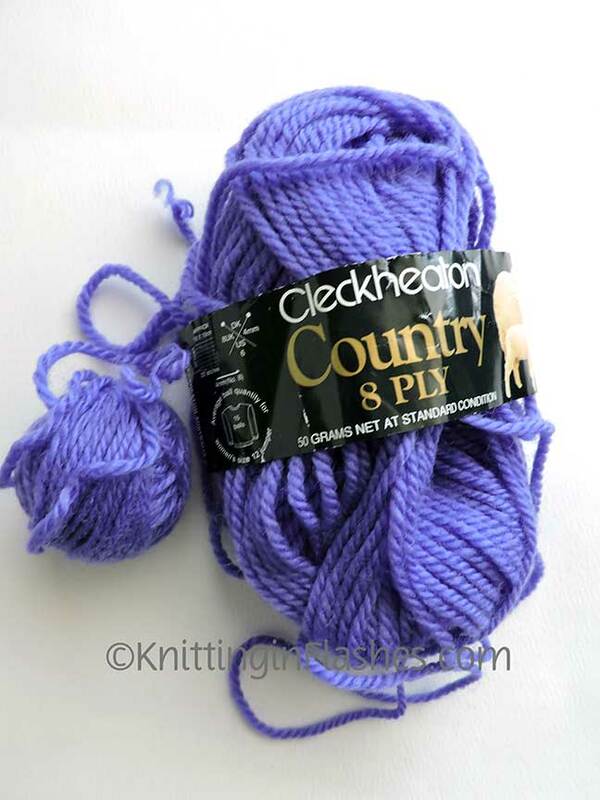 I started with this yarn: Cleckheaton Country 8-ply 100% washable wool in a very beautiful purple color. But not for a man or at least not the men I know and would knit for. 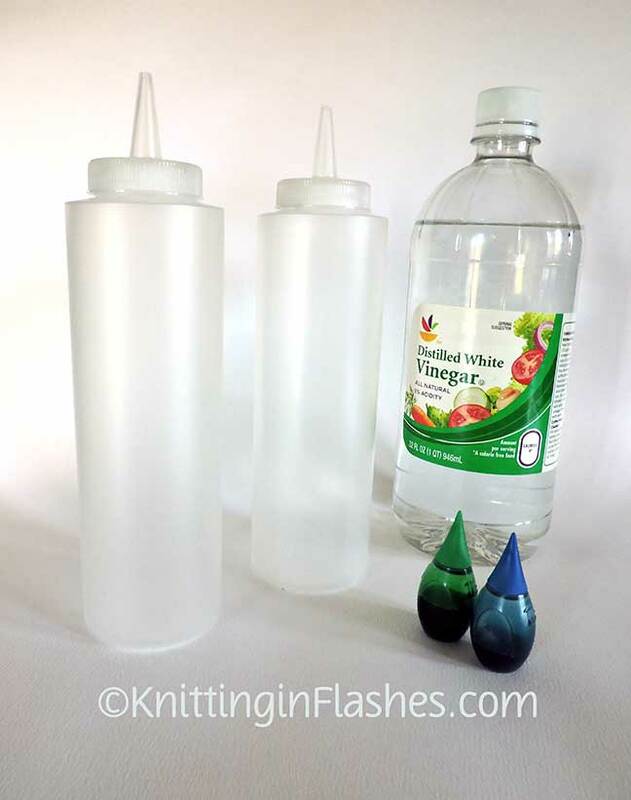 Enter food coloring, vinegar, squirt bottles and a microwave. 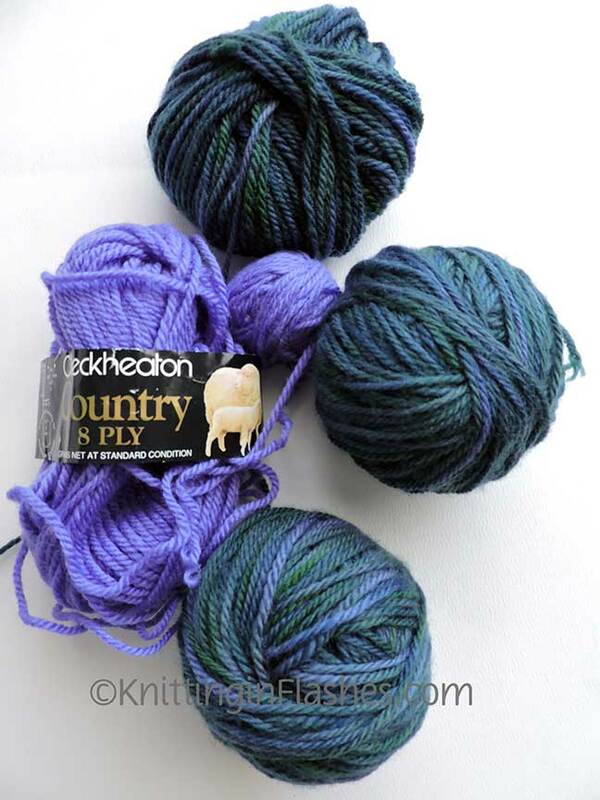 I decided to dye all three of the full skeins that I had because I didn’t think I would use the yarn as it was. And because I wanted to. I used basically the same process as I did here. You can do an internet search for other methods. 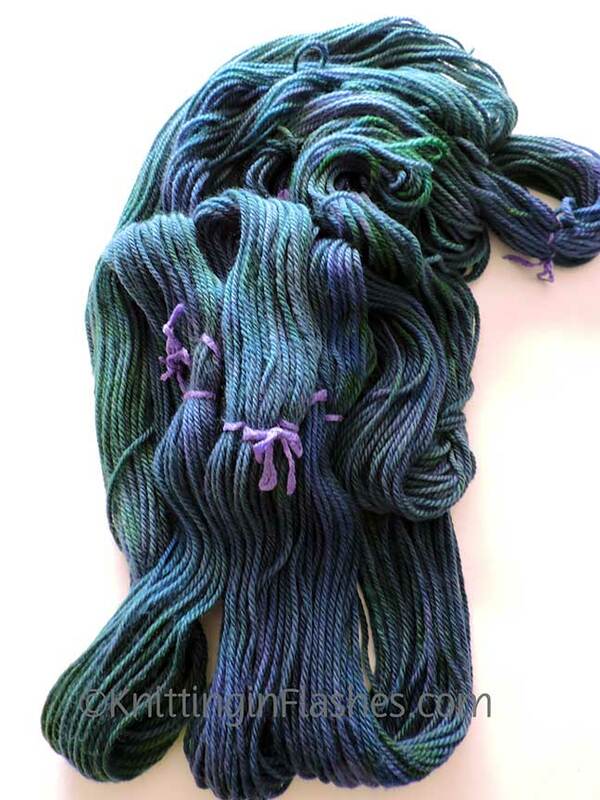 After soaking the yarn in a vinegar bath for about 30 minutes, I alternated squirting the dye between shades of blue, shades of green, and a mixture of both. (Sorry no pictures of the process.) I didn’t want a solid color so I squirted some parts with just the green, some with the blue, and some with a combo of both. Once completely saturated the yarn was wrapped in plastic, placed in a glass casserole dish and nuked for two minutes, rested for two minutes and so on for about four sessions total. 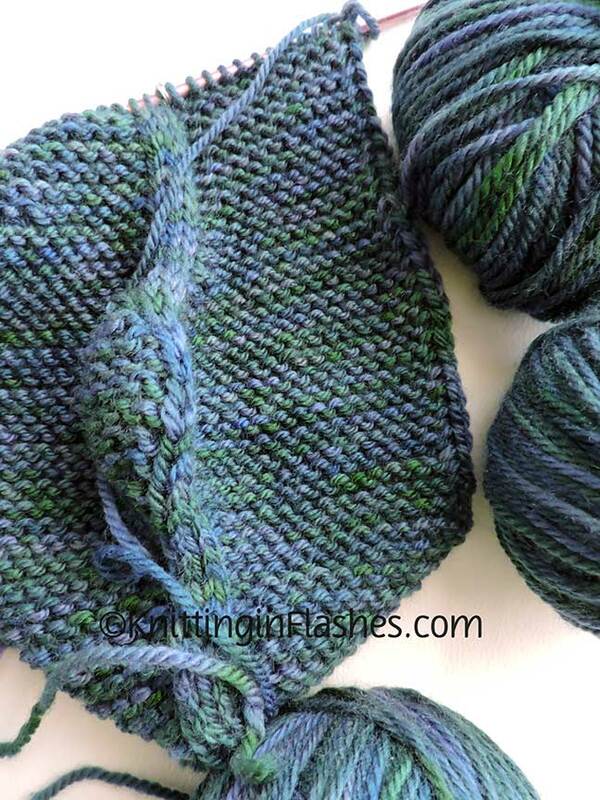 The yarn was rinsed after it cooled until the water ran clear and colorless. Here it is after it dried. This reminds me of the ocean…blues, greens and a bit of the purple shows through. I couldn’t wait to begin another project. This time it’s the 1898 hat by Kristin Byrnes as posted on the Christmas at Sea|The Seamen’s Church Institute website. Scroll down on the linked page for many free patterns. I should be able to knit two hats with the amount of yarn that I overdyed. This entry was posted in fabric dye, knit, knitting, knitting pattern, yarn and tagged 1898 knitted cap, dying, dying yarn, hat, knit, knitting, overdye, pattern, yarn by Patti_is_knittinginflashes. Bookmark the permalink. what fun, and what a great result! I like that hat, too, it is fun to knit. It will look great in those lovely aquatic colors!